It was a big surprise in the MWC 2018 looking at Sony’s new flagship which adopts a different design different from the ones Sony used to offer. 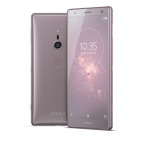 Unveiled at the MWC event in Barcelona, the Sony Xperia XZ2 and XZ2 compact are the successor to last year’s Sony Xperia XZ1 and Xperia XZ1 Compact. The Sony Xperia XZ2 now comes with a better hardware, camera and a better design. The new smartphone is what you will expect as it comes in an entirely new body.